Simple Handmade Gifts for Dad, Studio 5, and a COOL New Gadget! Father's Day is just around the corner. If you've yet to find the perfect gift for your pop, you may have been overlooking the power of handmade. There's something so special about giving a gift straight from your heart, and I assure you the men in your life will appreciate the sentimental factor just as much as the women likely do (if not more so!). For today's Studio 5 television segment, I decided a few handmade gifts I've made both for my own dad and to my husband from our daughter. In other words, these gifts (most of them) have been gift tested and dad approved! I found this awesome old window frame at a local yard sale and new I wanted to turn it into a photo frame of some sort. 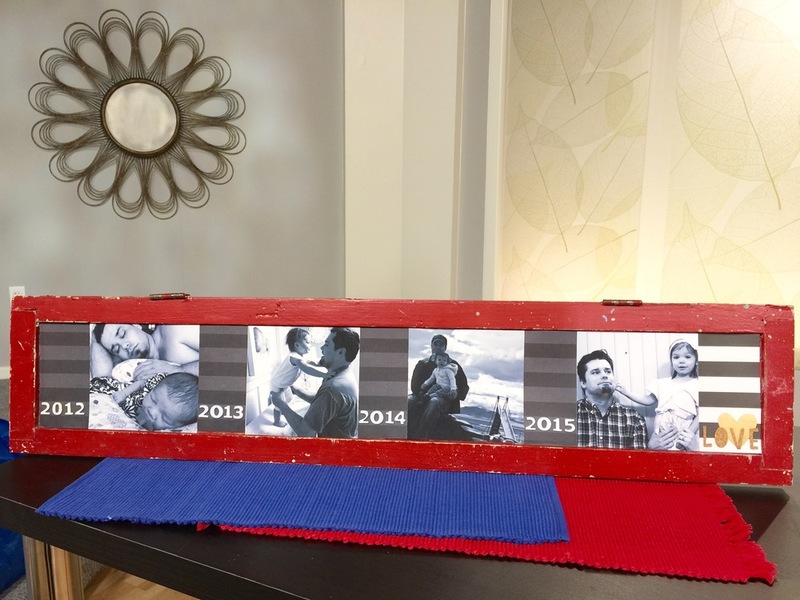 The size of the frame worked perfectly with square Instagram photos, and the length of the frame allowed me room to include from all of the years my husband has been a daddy. If you don't have a frame like this (I realize it's unique), you can generally find longer frames at your local stores. If not, consider stringing images up on a clothesline-style display and adding the year stickers directly to the photos. Dad will enjoy seeing the progression of time. TIP: Don't' sweat the small stuff. My images are far from professional grade. I did that intentionally. This is our real life, and I want that energy reflected in our home. Think about Pop's unique experiences. My dad had the once-in-a-lifetime (some lifetimes) opportunity to conduct a train. Isn't that cool?! 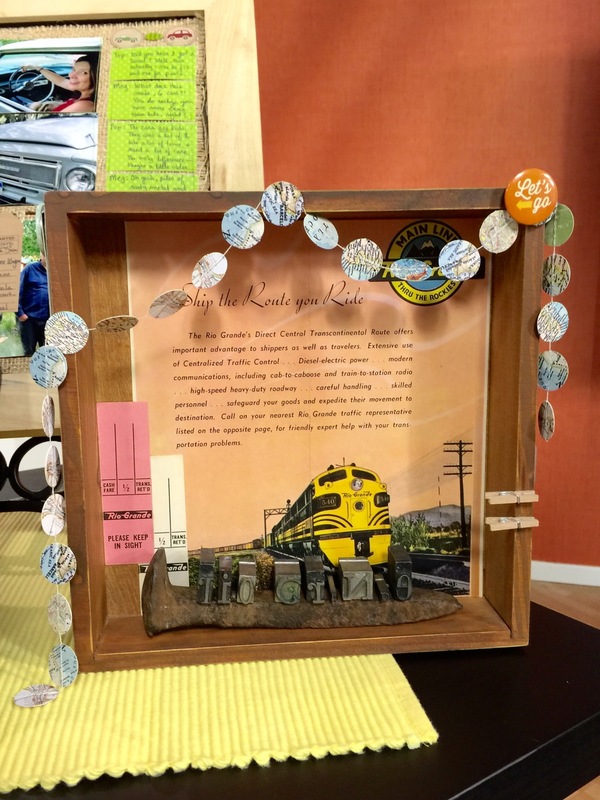 Wanting to capture that cool experience, I created a train shadow box for him, which included train memorabilia I picked up at a local flea market. TIP: If you don't have a flea market nearby, consider checking local Facebook yardsale groups in your area (love these!). Simply type ISO, which stands for "in search of", and the item(s) you're looking for. EX. ISO train memorabilia. My shadow box includes an old train brochure, old train tickets, a railroad spike, and letterpress letters spelling "Rio Grande." You'll notice a few newer scrapbooking items included as well, including a map garland and some travel flair (metal badges). Mini albums are a favorite gift of mine to make for others, and Father's Day is a perfect time to make them. 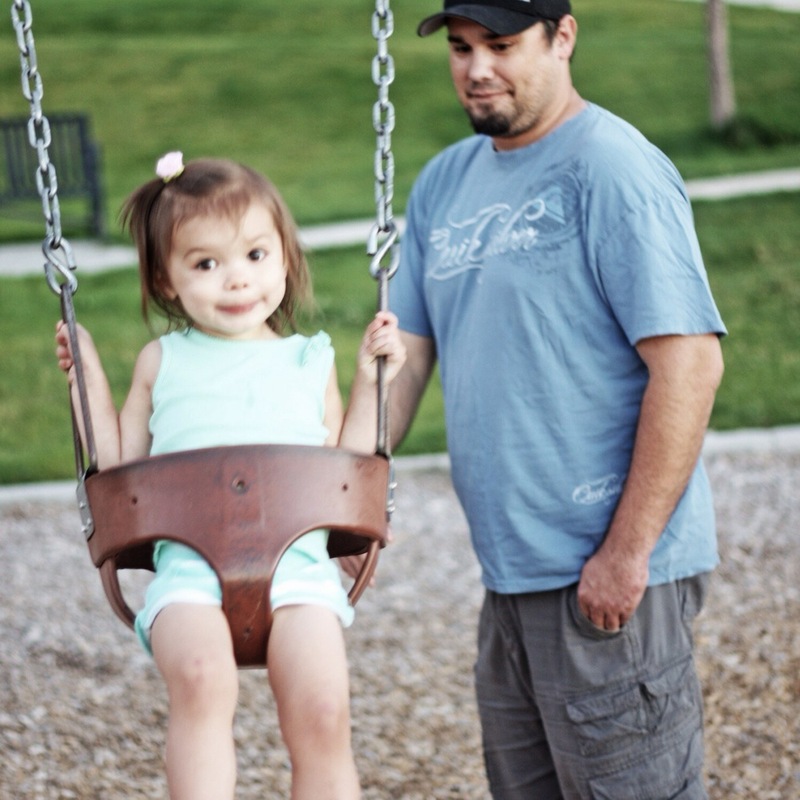 I created this little one to document my husband's first year as a daddy. Or "dadda," as our young babe called her daddy back then. 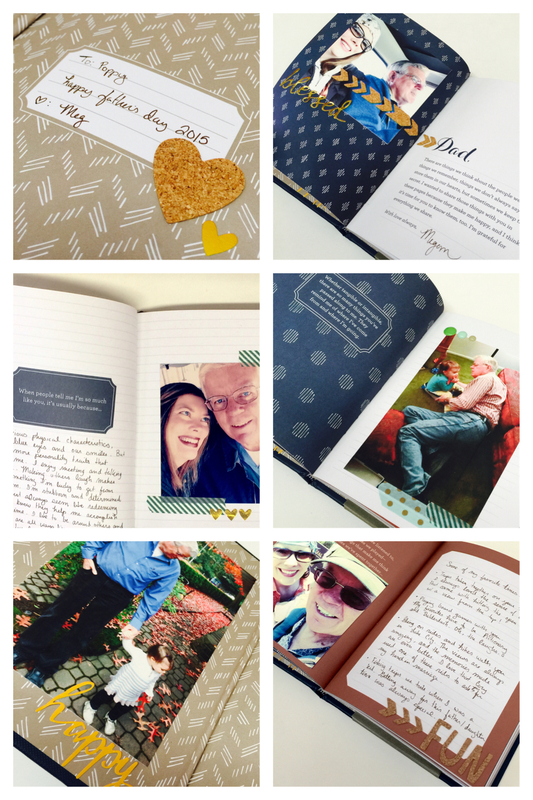 For instructions on making a special tag album for Dad, I invite you to check out my Big Picture Classes class, Made with Love. You don't have to start from scratch in order to add a special handmade touch. On this project, I used a pre-made book I purchased at Paper Source, and I simply added a few of my own original touches to make it extra special. Touches included photos, strips of decorative tape, enamel dots, stickers, etc. It's a quick way to make a gift all the more impressive and memorable. 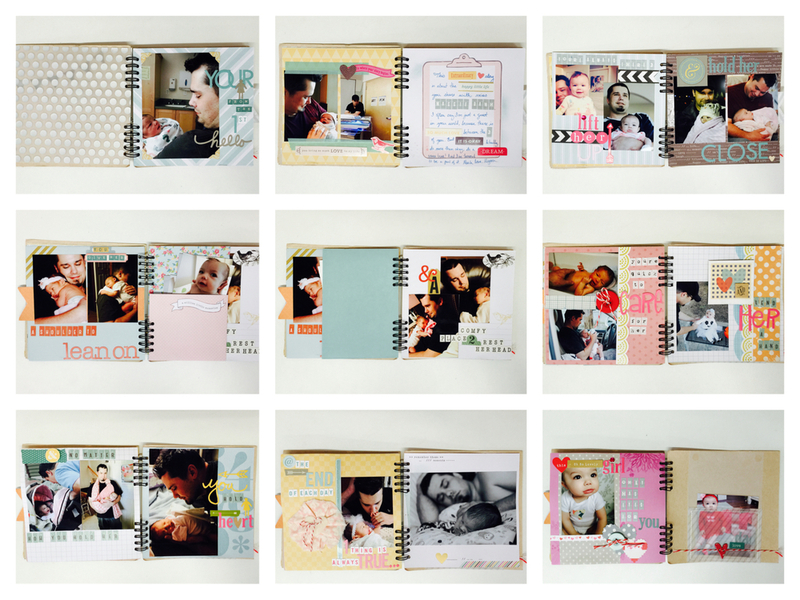 Scrapbooking is a worthwhile keepsake, but it also makes an awesome gift. Yes, even for the fellas. To make your scrapbook pages more masculine, look at adding textures, such as the burlap and corrugated cardboard I used (Jillibean Soup). 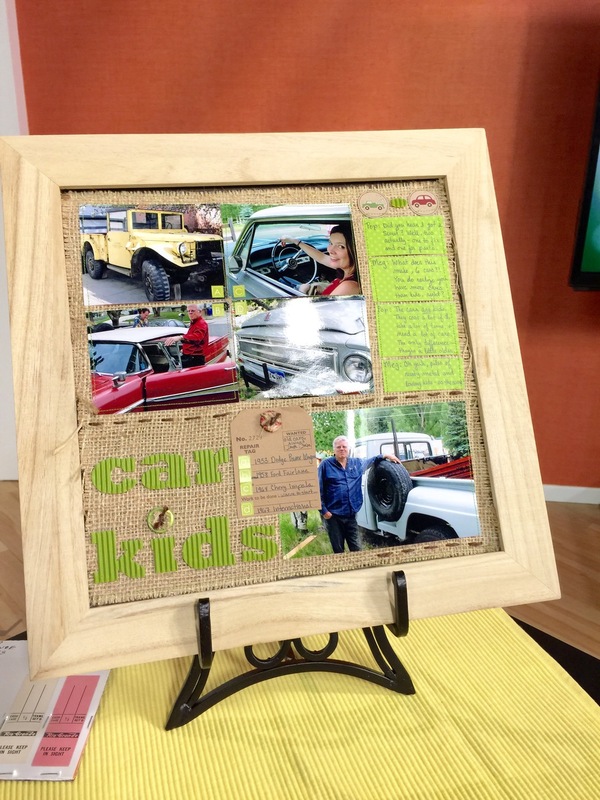 To turn the layout into a gift, opt for a nice 12x12 frame, like this one from Canvas Corp. This is a BRAND NEW product that I couldn't wait sharing with you. It's called the NeoRing, and it works with smart phones and tablets. I know dads, moms and kids alike will appreciate it. Our family has certainly gotten good use out of ours. * A wearable ring designed with a Neodymium magnet (code for STRONG!) to attach to your smartphone. * It's attachable/detachable with full 360-degree movement for landscape and portrait viewing. * It allows you hands-free phone action (in a sense), as you don't have to grip your phone to view it, carry it, and keep it with you. It stays attached to the ring. As a mom with her hands full, I can't tell you how much I've appreciated and used this feature! * It doubles as a kickstand for your device, so you can prop it up when you take the ring off your finger. * It comes with a ring mount (the one you wear), as well as two additional flat mounts. Add these to your car, your office, or other areas where you'd want your device securely propped. * They have rings for men, women, and even young children. My toddler has a ring. See all of today's projects and the Neoring in action on my Studio 5 segment, today at 11:00 on channel 5. Or you can view any of my segments online here. Thanks for your interest and support! Happy Father's Day to all of the hard-working, loving daddios out there. I don't know what I'd do without my own father who does so much for me, and I've been blessed with a wonderful father-in-law t'boot. Talk about a lucky girl! And Cory is a brilliant daddy to our babe, which is an amazing gift to witness.